The Dunlop Pro is the official ball of the World Squash Federation (WSF). Association (WISPA) and the only ball used in all international professional. Only ball used in all international professional competition. 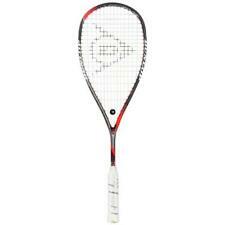 Dunlop Max Lite Red Titanium Squash Racket. Condition is New. Shipped with USPS Priority Mail. See pictures for actual racket. Racquet is in good condition. Graphics are faded which was common to Dunlop racquets of that era. See photos for more details. DUNLOP I.CE. 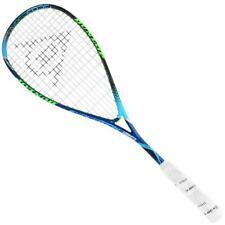 TOUR SQUASH RACQUET CARBON LEE BEACHHILL MODEL. Condition is Used. Shipped with USPS Priority Mail. Br an d ne w.
Great condition racket. 30 day return policy buyer pays return shipping. String: Dunlop Silk. Balance: Head Light. I am a one man operation. This is in good used condition. Double Yellow Dot. See pictures for actual balls. We are including a new purple overgrip just in case plastic-covered grip is not perfect. NEW Dunlop Tactical Plus Oversize Squash Racquet. Head Size: 500 cm2 Oversize. Dunlop Black Max Squash Racquet Graphite Construction Oversize Head 470cm2. 155G. Condition is Used, excellent condition showing very minimal signs of wear a few minor nicks and scratches no cracks excellent strings grip is fair please see photos and good luck bidding. DUNLOP Squash Racquet Biotech XTreme TI Alloy New Grip Used, in very nice condition. With normal light wear. New over grip! Contact me with any questions. Thanks! Teardrop Headshape, PowerMax String Pattern, Premium Titanium Construction. 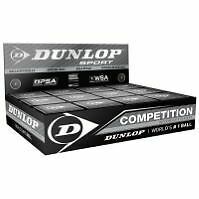 There are 11 boxed Dunlop Pro Dbl Yellow Dot Squash Balls, and one unboxed Dunlop Double yellow dot ball. Also 3 single white dot British Dunlop balls still in the box. We will do our best to be yourFAVORITE Racquetball & Squash. The Dunlop Apex Infinity is a lightweight racket with a lot of power. Due to its teardrop shaped racket head it features long main strings, resulting in more string bed resiliency for added power. Good Luck! (See Photos For Further Details). 27”L, 5-1/2 oz/195 g. Product Detail Nylon Strings. Synthetic Grip. Mint Dunlop Player model wood squash racquet made in England. No play wear with beautiful graphics including a visible Dunlop stencil on the strings and standard squash racquet warning in English and French. Construction: Premium Graphite & Hyperfibre . Balance: Extra Head Light. Dunlop Precision Elite Squash Racquet. Condition is Used. Shipped with USPS Priority Mail. AeroSkin technology mimics shark skin to reduce drag by up to 35%. Length: 27 in. String Pattern: 14 x 18. Product Detail Built with Premium Graphite for durability and power. Factory Strings: Dunlop Silk 17g Black. String pattern: 16x19. Balance point indicated by Manufacturer: Head Light. Grip has signs of use and wear. Racket is in VG condition. An over-sized ball for children aged 5 to 7 years old. Balance: Head Light. Construction: Premium Graphite. String Tension: 20-30lbs. Construction: Premium Graphite, Hyperfibre . Balance: Head Light. String Tension: 20-30lbs. A ball, raquet and a carrying case are also included (No glasses, barely used). Balance: Extra Head Light. Head Size: 500 cm2. All are in Unused and in the original boxes. Construction: Premium Graphite & Hyperfibre . Head Size: 490cm2. String Pattern: 14x18. This racquet is in excellent condition there are some scrapes on the top of the racquet but the rest of the racquet is in really good condition. It doesn’t look like the racquet has been used much. The grip is in excellent condition see pictures. There is a case included the case says Blackstorm titanium but the racquet is the Graphite model. Also included are 4 squash balls in good condition. Shipping only to continental United States not Hawaii or Alaska. 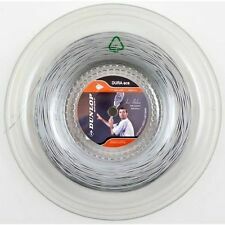 Either Ashaway Supernick XL or Tecnifibre 305 1.20mm is a good choice. Balance: Head Light. Construction: Premium Graphite, Hyperfibre . String Tension: 20-30lbs. Very good to excellent condition. I would rate 9 out of 10.